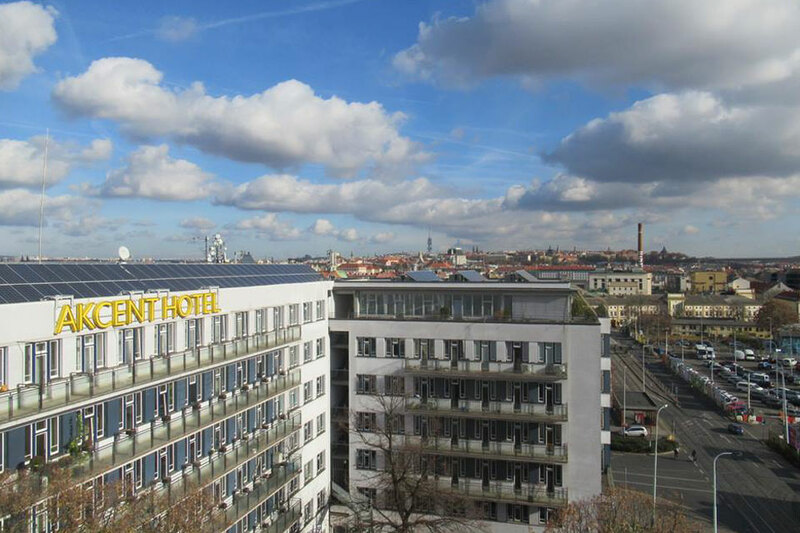 Akcent hotel is a modern 3-star budget hotel with a friendly atmosphere located on the 7th floor of a 1930s Functionalist-style office building and can boast splendid views of Prague from all 53 rooms. Why to choose Akcent Hotel? Just 10 minutes by subway to the city centre and many shops and bars nearby. Available for extra charge (12 €/24hours), or 1,20 € for every started hour. Ideal for tourists on budget seeking culture and entertainment or business clients. An extra bed can be added to this room (extra charge applies). Ideal for tourists on budget seeking culture and entertainment or business clients. Since our hotel is very well located, you can find a lot of entertainment just few minutes away. 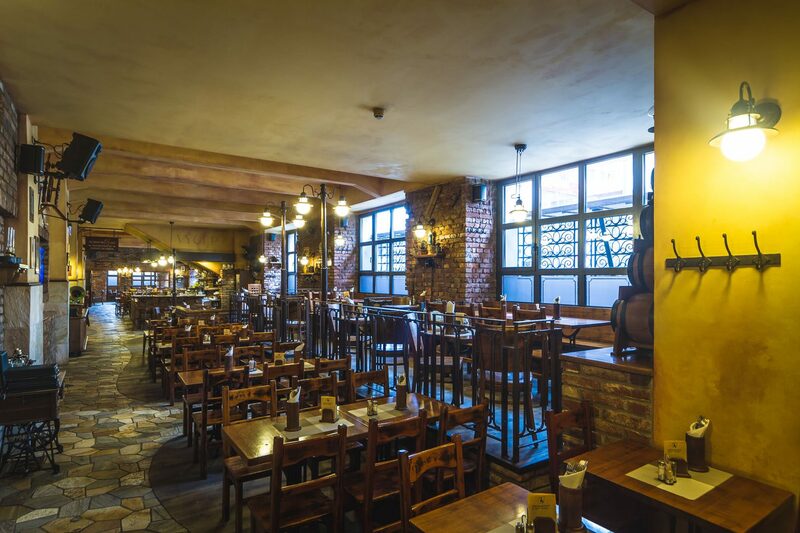 Restaurant, which is made in the spirit of a modern pub with typical Old Czech and blacksmith elements. 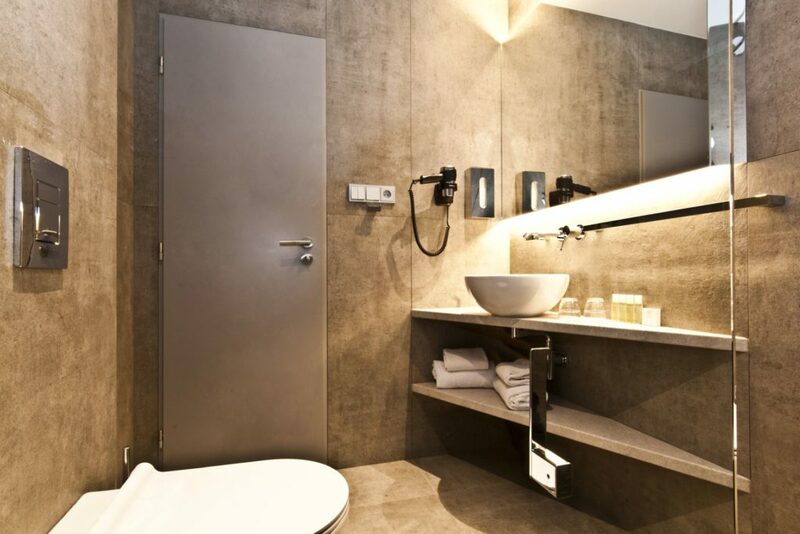 We had a wonderful stay at Akcent, spacious, clean room, balcony overlooking the city, subway and bus stops immediately outside, the staff was easy to communicate with and responded to all of my emails before we arrived very promptly. would absolutely recommend to anyone staying in prague and would be happy to stay again on my next visit to the city. 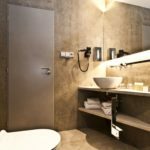 We appreciated the wonderful room and service during our stay at the Akcent Hotel. The room was great, we particularly loved the corner room with all of the windows, the balcony and access to the Metro. The included breakfast each day was great! We appreciated the adjacent parking and the fact that there was an employee present 24 hours each day. Next time we come to Prague we’ll stay there again. Great reception service and fantastic room. I personally feel that restaurant staffs should smile more. Also please label the food and sauces/salt/sugar during breakfast. It might be difficult for people who cannot eat pork to differentiate them and also at the same time allow people to know the name of the food he/she is eating. Overall, would recommend others to stay when visiting prague. 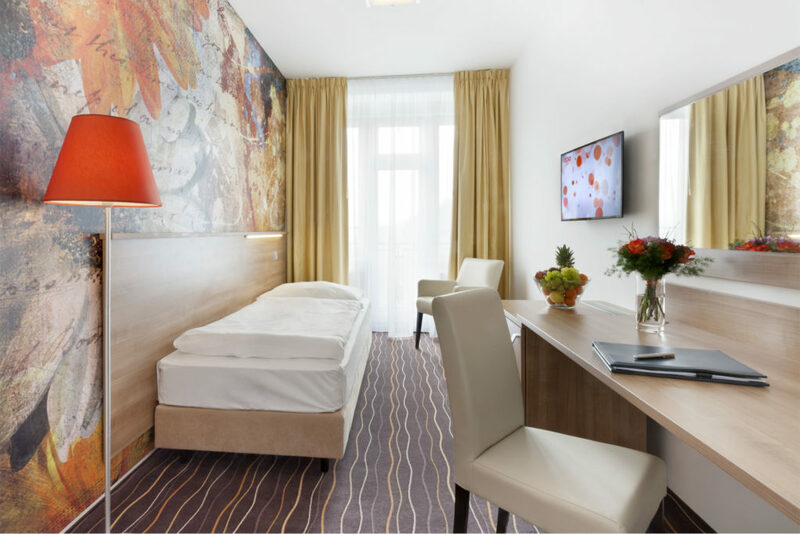 The hotel is situated in the heart of Smíchov quarter, just a 3 minute walk from one of Prague’s major commercial and entertainment zones, where two big shopping malls Nový Smíchov and Zlatý Anděl are to be found. 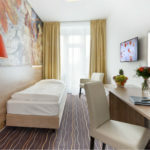 Guests highly value the hotel’s location also for easy and quick connections to the centre of Prague. With an entrance to the Anděl (Na Knížecí) subway station right outside hotel front door, and several tram line stops nearby, the entire historical centre of the “City of Hundred Spires” is just 5 minutes away, while picturesque Lesser Town, park Kampa and Petřín Hill is only a 20 minute walk. Not far is also river Vltava and Vyšehrad Castle. Hotel´s location is also very convenient for tourists coming for Prague Beer Tour as Staropramen brewery is in surroundings.